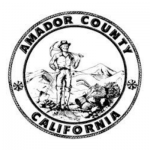 Get an Amador County Traffic Ticket? You Can Beat It! Did You Get a Ticket in Amador County, California? You can fight Amador traffic tickets by getting them dismissed much easier than you may think. In Amador, California, drivers are allowed to contest a traffic ticket using a Trial by Written Declaration. This is best way to fight a traffic ticket without going to an Amador courthouse or hiring an expensive Amador traffic ticket lawyer. We have found this to be the best way to contest a California traffic ticket, period. This option is available to every driver who receives a traffic ticket in Amador, California. In fact, if you turn over your traffic ticket you will see that a Trial by Written Declaration is listed right on the back of your ticket as one way to fight it. This process has been around since 1978 to avoid having to pay traffic ticket fines. TicketBust has been helping California drivers prepare Trial by Written Declaration’s for over 14 years. In fact, tens of thousands of vehicle tickets in California have been contested using our system. We are the original traffic ticket fighter and the TicketBust system has been developed specifically to prepare all your documents properly based on how you answer a few questions. This way you can fight your ticket, knowing you have maximized your chances of having the court dismiss your Amador County traffic ticket. TicketBust service will prepare your full defense package for you, which includes your Trial by Written Declaration and all the defense documents required by Amador traffic court. Fill out the yellow form to fight your Amador traffic ticket now! Did you know that you aren’t allowed to pass the white limit line when you are stopped at an intersection? From our experience, this can be a common ticket issued in the county of Amador, so be on the lookout and stay behind that solid white line. If you find yourself having received a traffic ticket in Amador, give us a call or fill out our form to see how we can help! For generations, in the area of land located between Central Valley and High Sierra, small bands of Miwuk Indians inhabited what is now known as Amador County. It wasn’t until 1848 when native but non-Indian Californios, Sonorans from Mexico, Kanakas from Hawaii, Mormons and American soldiers and settlers raced to the area in their attempt to find gold. A man by the name of Jose Maria Amador mined a small creek between 1848 and 1849, and because of his presence there, the creek and, subsequently, the county inherited its name after splitting from Calaveras County in 1854. According to the U.S. Census Bureau, Amador County spans 606 square miles and is home to over 38,000 people. The County ranges from only 250 feet above sea level to over 9,000 feet, the tallest point being Thunder Mountain. Amador County is also home to the Shenandoah Valley, which, before Prohibition, was a principal viticulture region. Today the area is home to over 40 different wineries and is renowned for its Zinfandel among other varietals of wine. In fact, in 2015, wine grapes accounted for 41 percent of the total agricultural output and has been deemed largely responsible for the county’s rebound in overall crop values since 2009. In addition to the outstanding wines the county produces, the area is growing in the leisure and hospitality industries as well. Each year, several thousand tourists travel to Amador county for gold-mine sight-seeing wine-tasting, camping, skiing, hiking, and to sail or motor their boats.